PRE-ORDER NOW AND GET MY HACK YOUR CYCLE TO CHANGE YOUR LIFE EVENT FOR FREE PLUS 3 OF MY FAVORITE RECIPES FROM THE BOOK! PRE-ORDER NOW AND GET MY HACK YOUR CYCLE EVENT RECORING FOR FREE! LET'S GET BACK IN BALANCE! Pre-oder now and you'll get a copy of the Hack Your Cycle To Change Your Life event...for Free! 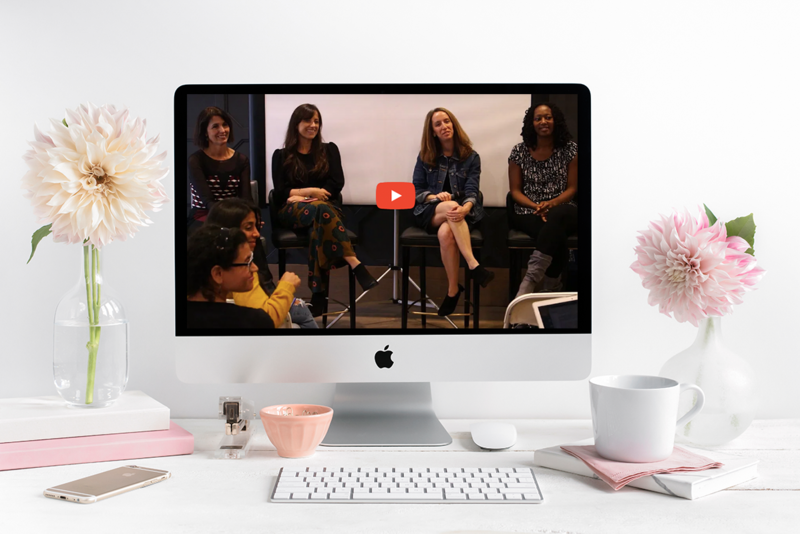 This is an incredible 4-hour women's health workshop with Nicole Jardim, Jessica Drummond, Lara Briden and Lisa Hendrickson. 4. Plus we'll send you 3 recipes from the book right now! PRE-ORDER NOW, YOU’LL GET THESE 3 AMAZING RECIPES RIGHT AWAY! Spelt is a truly marvellous ancient grain, with a delicate and nutty flavour. 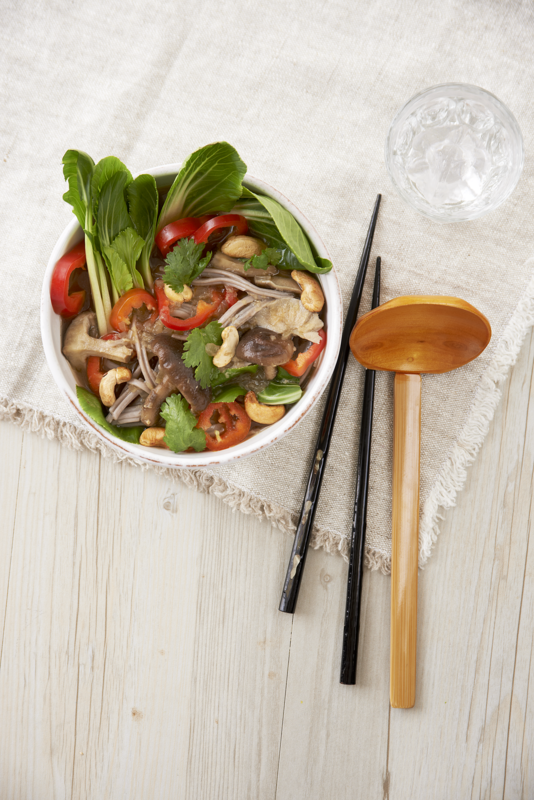 Packed with protein it provides a prolonged release of energy, instead of instantly spiking blood sugar. There are two different ways to cook this beautiful cruciferous vegetable for this recipe: baking cauliflower leaves it ever - so - slightly crispy on the edges, yet with a lovely roasted flavour on the inside. On the other hand, boiling lightly – until it’s soft enough to stick your fork through – before chargrilling, leaves it lighter with a slightly charred flavour. Both methods make this sometimes tricky vegetable shine. A day or two post - Christmas feasting, my Dad always makes his veggie-packed miso soup. Trust me, this recipe is a god-send once the festivities have died down. Complete with chewy buckwheat noodles, leafy greens and a generous grating of fresh ginger, this soup is everything you could possibly ask for. It’s light on the digestive system and highly anti-inflammatory, making it a must have for when you’re not quite feeling yourself. From nursing Christmas dinner food babies, to curing painful hormonal migraines, it’s a hug in a bowl, to say the least. 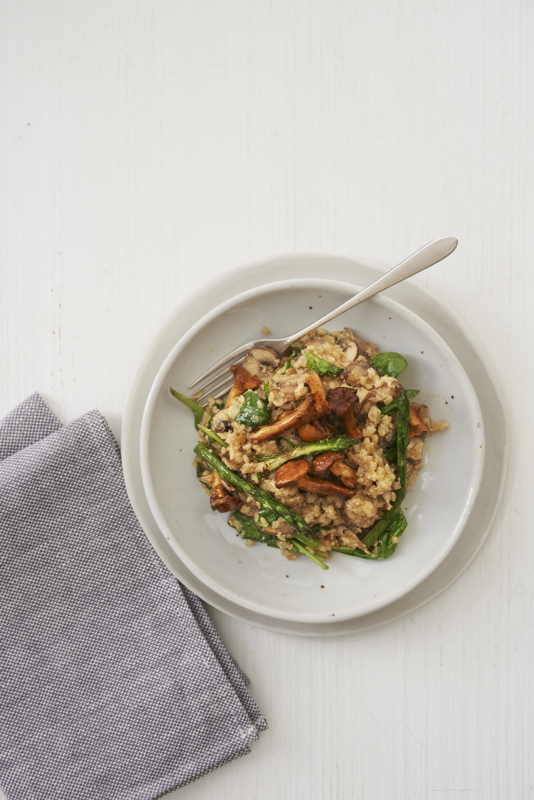 Slice into fine ribbons and toss into a creamy jumble of short-grain brown rice, meaty golden chanterelles, seasonal greens and you have yourself a wholesome, healthy risotto. 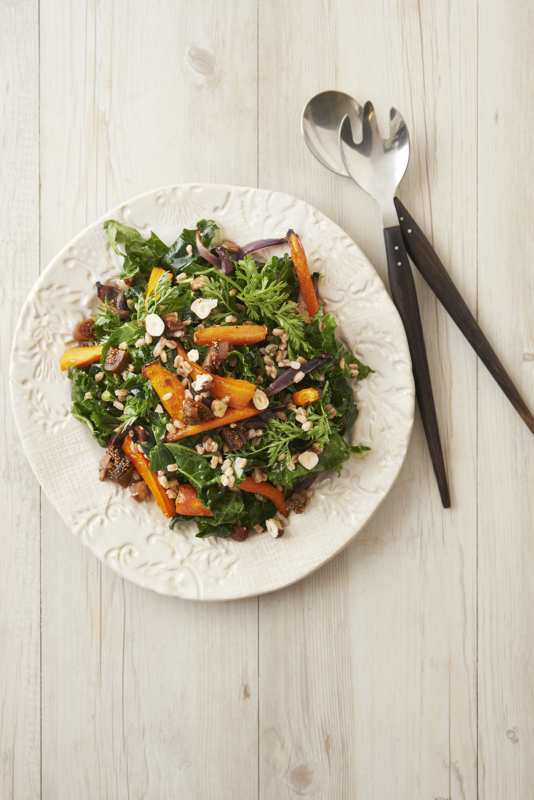 Packed full of vegetables and with the addition of cashew cream, it’s high-fat and anti-inflammatory due to an abundance of greens. My philosophies around food are pretty simple – eat real, whole foods, preferably from the ground, and listen to want your body wants. Megan Hallett is a nutrition and holistic health coach, wellness enthusiast, recipe developer and voice behind the blog Plant-Based Londoner. 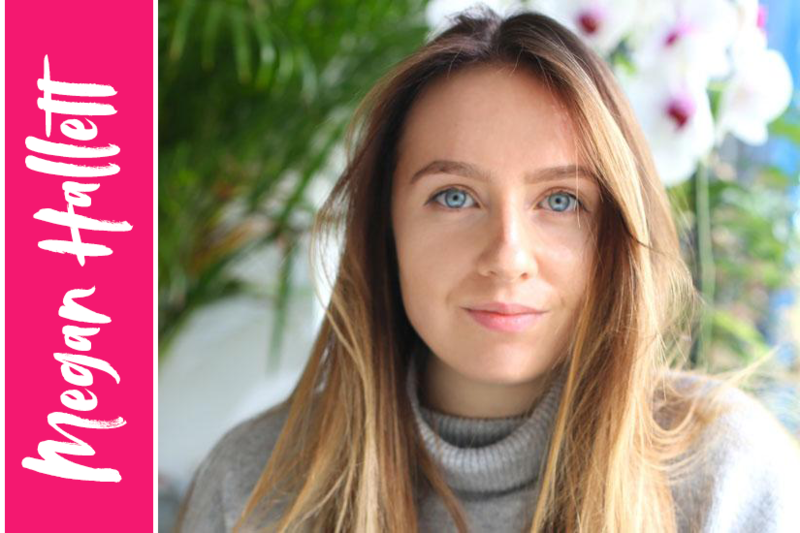 When diagnosed with PCOS as a teenager, Megan was frustrated to find doctors simply prescribed pills to mask the symptoms, rather than providing any information to enable her to tackle the root cause. Eventually, she decided to take back control by embracing the incredible power of good nutrition. 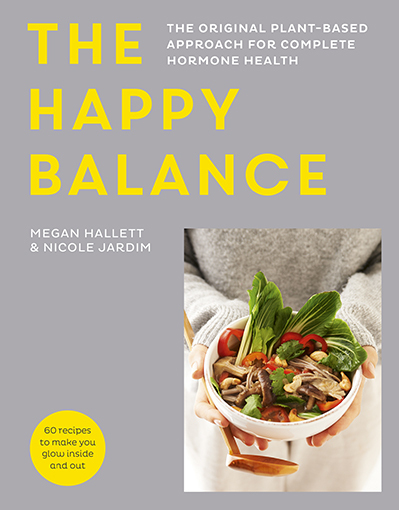 The recipes Megan shares are designed to ensure that what she puts into her body creates happy, healthy hormones as well as a peaceful frame of mind. I passionately believe that all women can (and should) be active participants in their health, and I’m dedicated to showing you how to take back control of your body. Hi, I'm Nicole (aka The Period Girl)! 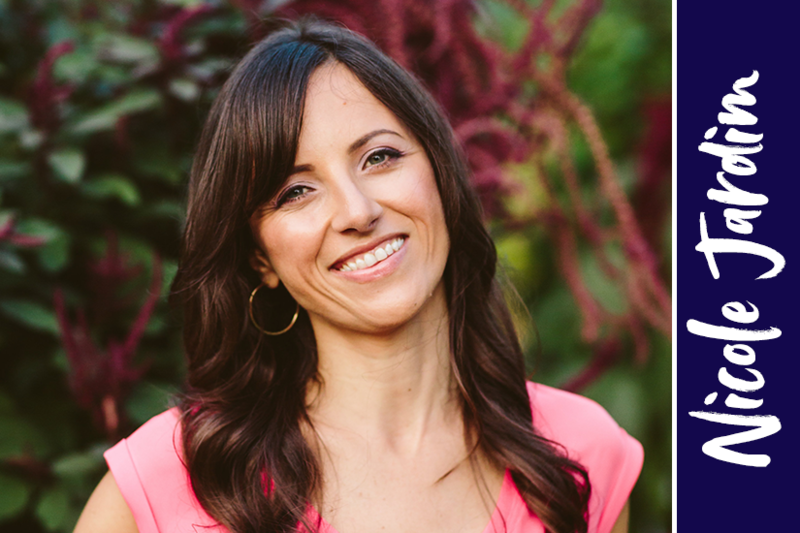 I'm a Certified Women’s Health Coach and the creator of Fix Your Period, a series of programs that empower women to reclaim their hormone health using a method that combines simplicity and sass. My work has impacted the lives of hundreds of thousands of women around the world in effectively addressing a wide variety of period problems, including PMS, irregular periods, PCOS, painful periods, amenorrhea, and many more.